As summer is winding down and back-to-school planning begins, kids may be reluctant to say goodbye to all that fun in the sun. While you may have to leave the pools and waterfront vacations behind, fall brings all kinds of exciting events and seasonal activities that your children will love. Plan a fall day trip or weekend getaway to check out these educational and fun experiences at a few of Virginia’s most family-friendly fall destinations! Most people think of winter sports like skiing, tubing, and snowboarding when they picture Massanutten Resort, but the park is so much more than that. Start with the resort’s Adventure Park, complete with an 800-foot Mega-Zip Line, a canopy tour with wood bridges, rope swings, and four zip line, and a rock climbing wall. Older kids can try mountain biking, with experienced instructors offering lessons and a shop where you can rent protective pads, helmets, and bikes. Pack your swimsuit and check out the indoor water park, filled with water slides, a “water fortress”, lazy river floats, and so much more. For more outdoor activities, the park has fishing, horseback riding, and miles of hiking trails. On weekends from October 7-29, 2017, Busch Gardens Williamsburg hosts “The Count’s Halloween Spooktacular,” a Halloween event that is family-friendly and veers towards the silly rather than the scary. Dress the kids up in their Halloween costumes and participate in the theme park’s costume parade. Additionally, a full range of children’s activities and shows will be available during this daytime event. 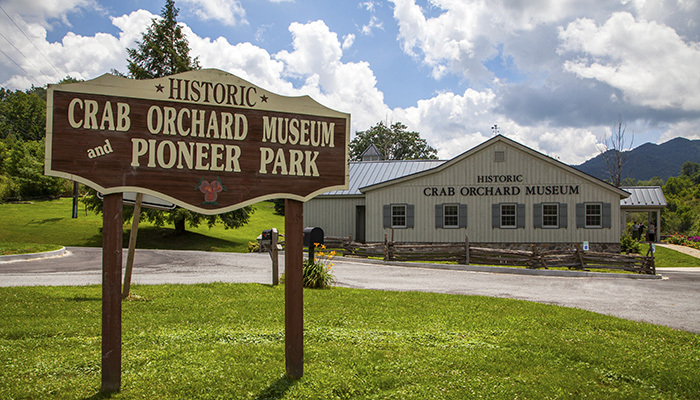 Learn about the cultural heritage of the Appalachian region at Crab Orchard Museum & Pioneer Park, located in Southwest Virginia. Spanning from the indigenous people living there 500 years ago to the modern age, the museum showcases everything from the wildlife found in the region to the people who have lived there over the centuries. After discovering the artifacts and remains of a 500-year-old community on the site, researchers preserved and restored the materials, which are now on display in the museum. Walk through exhibits featuring the animals of the Appalachian region, including black bears, turkeys, coyotes, and bald eagles. You’ll also find displays that tell of pioneer life, the Revolutionary and Civil War battles fought in the area, and the history and importance of coal mining to people of the Appalachian Mountains. Maymont is one of Richmond’s most gorgeous landmarks, and while anyone can appreciate the manicured gardens and lush green grounds, kids flock to the Nature Center where they can get to know the wildlife of the city’s most important natural resource, the James River. Inside the visitor’s center, they can take a peek into large aquariums filled with otters, turtles, fish, and even snakes. If the weather isn’t too chilly, head outside to the Children’s Farm to feed the goats and see all types of farm animals roam their expansive pastures. Inside the outdoor wildlife exhibits, you’ll get a look at black bears, bobcats, bison, and other wild animals native to Virginia. These animals were rescued after sustained permanent injuries that would prevent them from being reintroduced to their natural habitats in the wild. Climb, swing, and zip-line through the trees of Adventure Park at Virginia Aquarium. 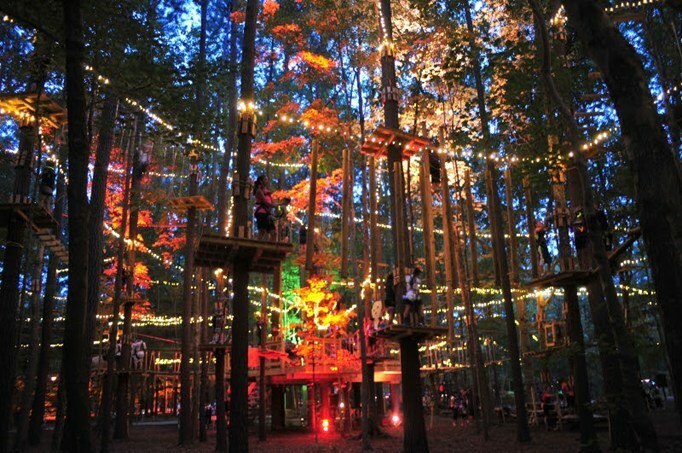 The treetop platforms are connected by cables and ropes, forming aerial trails that range from beginner to advanced in six different difficulty levels. Trails are clearly marked with 15 color-coded sections, and the harnessed systems are very safe, keeping kids locked in at all times as they travel through the beautiful fall trees. Once owned by Virginia’s famous resident Thomas Jefferson, Natural Bridge is a large limestone arch carved out of the earth by water many centuries ago. The landmark was recently designated as a state park, providing miles of trails and scenic mountain vistas for visitors to enjoy the incredible surrounding landscapes. 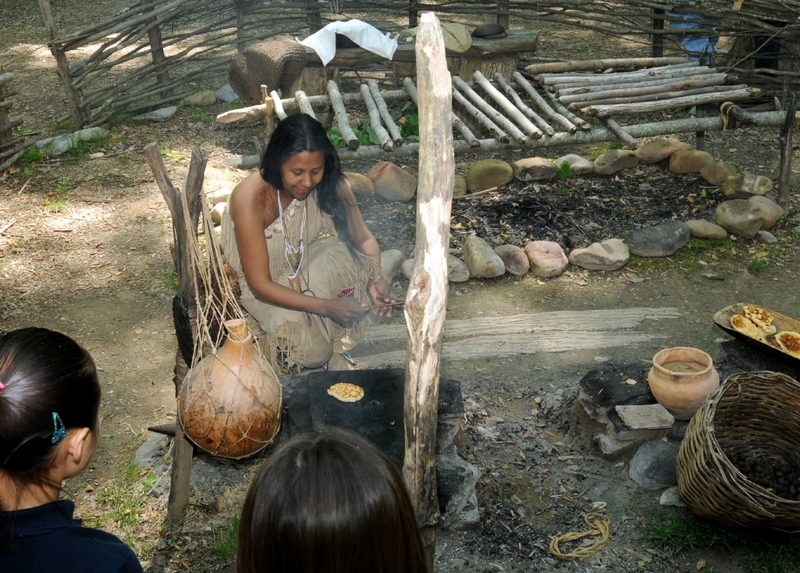 Tour the Monacan Indian Village inside Natural Bridge State Park, which depicts the cultures of indigenous peoples and demonstrates how they lived over 300 years ago. Living history exhibits show how these people used the area’s resources to survive and even thrive. Interpretive programs are included free with a regular admission ticket and run to November. You may not picture a former landfill site as the perfect vacation destination, but Mount Trashmore Park in Virginia Beach is the rare exception. The large refuse site was covered in dirt and landscaped, turning a waste-filled region into a kid-friendly landmark. Two manmade mountains cover 165 acres, featuring two playgrounds, two lakes, and a skate park. The lakes are open to fishing for visitors holding a freshwater license, and an on-site garden has become an environmental teaching tool, conserving water and showing kids how green practices can be used in everyday living. While kids don’t always find history museums interesting, the Frontier Culture Museum is guaranteed to be both fun and educational for them. Rather than walking through hushed halls quietly and reading plaques, kids can learn about how cultures evolved in early American settlements from their roots in the Old World through interactive village displays. The outdoor museum is made up of reconstructed buildings that were common in Africa, Europe, and pre-Colonial America, all regions that played important roles in our country’s foundation. 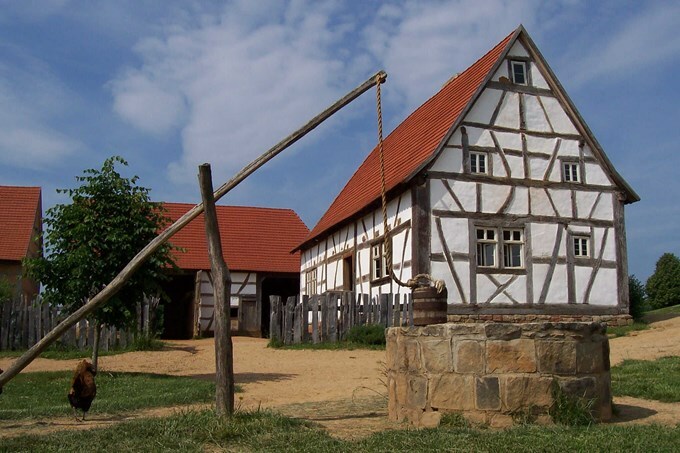 Eleven recreated farm homes run by living history interpreters teach kids everything from farming, gardening, and harvesting to raising animals and the ancient skill of blacksmithing. 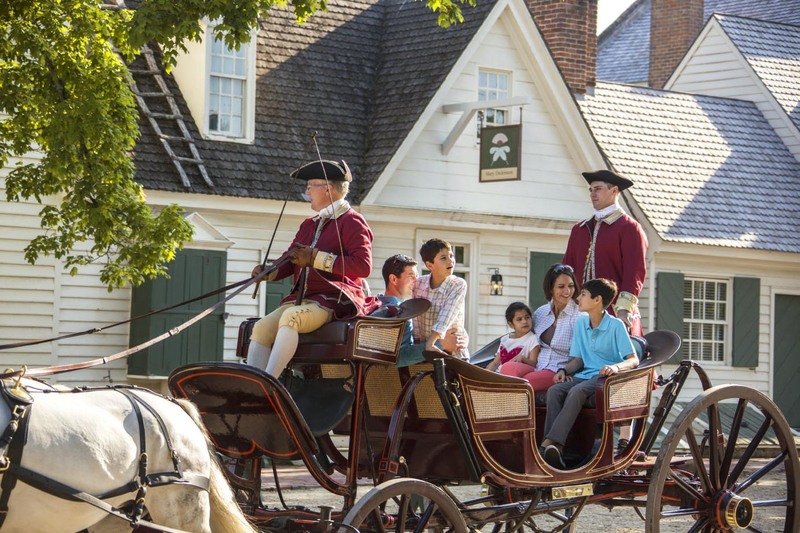 One of Virginia’s most visited destinations year-round, Colonial Williamsburg is an experience your kids will not soon forget. Explore dozens of buildings, homes, and shops that have been restored on their original foundations in a Colonial-era village that shows, rather than tells, what life was like in the 18th century. Step back in time and meet actors that portray common figures in these early American days. Kids can get truly hands-on when they participate in a real archeological dig, excavating the cellar of Archibald Blair’s 18th century store. 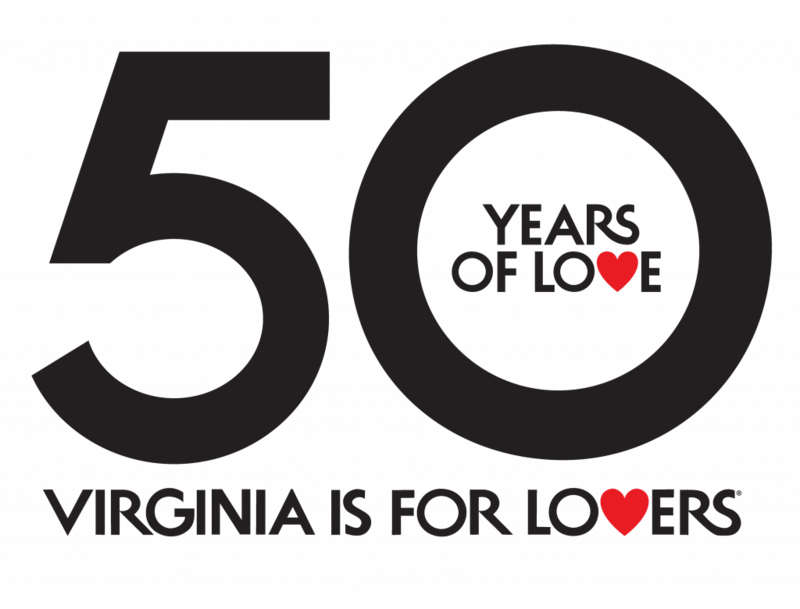 The Virginia Living Museum is all about the animals and plants that fill the Commonwealth, with kids able to touch live sea stars, and horseshoe crabs, get an up-close look at jellyfish and Loggerhead turtles, and stroll across an outdoor Boardwalk through animal enclosures featuring sea beavers, otters, coastal birds, and the endangered red wolf species. The gardens are full of Virginia’s flora and fauna, and the kids can talk to instructors about how to live and garden green to keep our lands pristine. After visiting with the live animals, check out the Outdoor Dinosaur Discovery trail, where kids can see sixteen life-like dinosaur models and even dig in the dirt at the Paleo Camp. The Great Pumpkin Fest at Kings Dominion runs select weekends from September 23 to October 29, 2017. Kids get the full fall experience, from pumpkin painting and hay bale mazes to visiting with barnyard pals at the petting zoo. 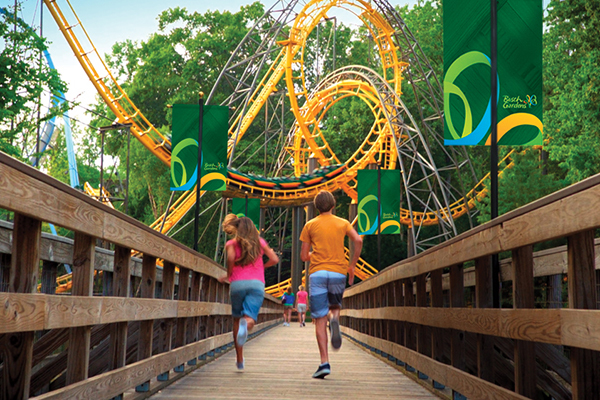 And of course, you’ll get plenty of family-friendly coasters and rides for the smaller children when visiting Kings Dominion. 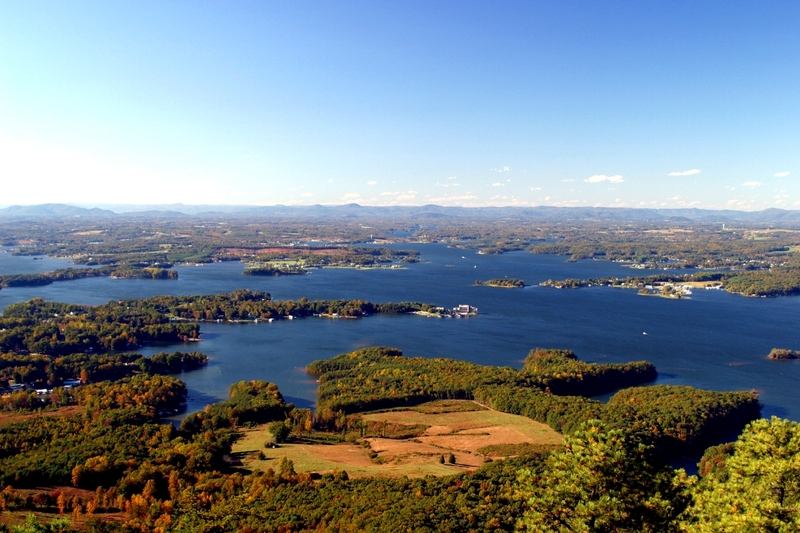 While Smith Mountain Lake State Park is extremely popular during the summer season for water sports like fishing, boating, and paddleboarding, the area still has plenty to offer during the fall season. Miles of scenic hiking trails wind through the park, and families can book one of the lakefront cabins or get outdoors and “rough it” at the state park’s campgrounds. Want to explore more of these untouched landscapes? There are dozens of State Parks that you can visit this fall to experience Virginia’s natural beauty, from the mountains to the coastal shores. Another historical farm recreation, Frying Pan Park lets kids learn about what life was like on a farm almost 100 years ago, focusing on the lifestyles of farmers that worked the lands between the 1920s and the 1950s. In addition to traditional farming practices, the park recreates the rural community aspects that were impactful to farm living. And since you’re on a farm, there are of course plenty of animals, including draft horses, chickens, cows, goats, pigs, and even peacocks. Jump on a wagon ride through the fields to see the farmers at work, then tour the interactive blacksmith shop and smokehouse. 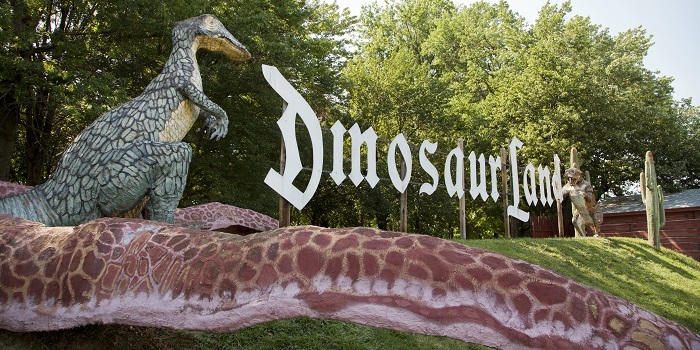 One of the most popular kid’s attractions in Virginia, Dinosaur Land brings ancient reptiles to life, with more than 50 dinosaur models spread through the wooded park. While the attraction is over 50 years old and may seem a little kitschy to adults, Dinosaur Land ignites the imaginations of children, taking them out of a classroom environment and allowing them to learn about giant animals like the Stegosaurus or the T-Rex while imagining they are back in the Prehistoric eras themselves. Afterwards, explore the gift shop, filled with a wide array of knick-knacks that the kids will love. Nothing says family fun in the fall like visiting a pumpkin patch or an apple orchard, and Westmoreland Berry Farm and Orchard lets you do both. Pick out the perfect pumpkin to carve with the kids, then head to the orchards where you can snag ripe apples ready to go into a homemade pie. 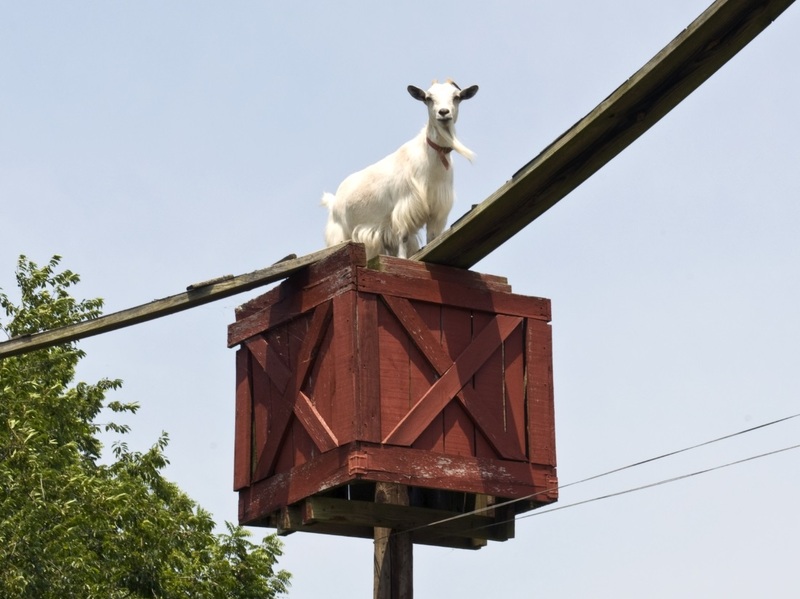 Bring your bikes along to ride on the farm’s country lanes, and make sure to look up when entering the lane to say hello to a few of the resident goats, which trek back and forth in their enclosures using an overhead goat walk ramp. Shop the country store for fresh fall produce and products from the farm, and don’t miss out on a glass of fresh apple cider. It’s all downhill from here…and for once, that is good thing when it comes to a vacation. 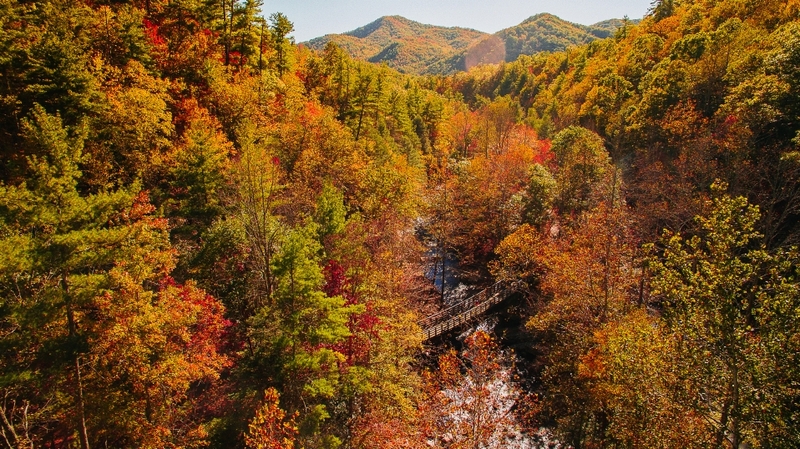 The Virginia Creeper Trail winds down the mountains through 34 miles of Southwest Virginia, allowing bike riders to coast and take in the stunning fall foliage on display. Parking areas at intervals throughout the trail allow you to shorten the route, and bike rental companies in both Damascus and Abingdon offer rentals and shuttle rides to trail heads. The Virginia Museum of Natural History in Martinsville provides innovative educational programs for all ages, interpreting Virginia’s natural heritage within the global context. Walk through the exhibits to learn about everything from the dinosaurs to the Ice Age. And if the kids begin to get a little antsy with the historic displays, they can let loose some of that extra energy at the Discovery Reef, a hands-on interactive play and learn area comprised of a big wooden ship with multiple decks and climbing areas.